Flagship model of Pro-Ject's RPM range, combining a solid plinth with an elevated circular platter design. Generous trade-ins available - contact us for pricing. Earn 2499 loyalty points when you order this item. - Effective Tonearm Length: 10"
Pro-Ject's RPM 10 is the all new high-end turntable with the ultimate in acoustic performance and luxurious configurations. In a contemporary hi-fi system, the working of the system is hidden and controlled by digital apps, however, the analogue record player is the centre of a real hi-fi system and can be proudly presented just like high-quality loudspeakers. For some years the Pro-Jects legendary RPM series has been a leading design in analogue sound reproduction. The drop shaped base chassis of the RPM has been shown to give much better resonance characteristics in comparison to regular rectangular shaped chassis's. 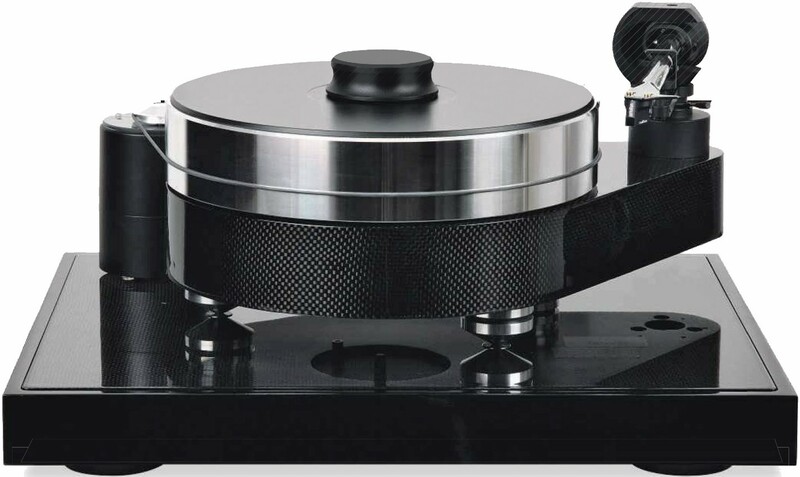 To improve upon an already great turntable design, ProJect has conducted extensive research and development, to take the design to an even higher level. The RPM 10 turntable incorporates an advanced sandwich construction of the plinth which combines medium density fibreboard (MDF), carbon fibre and steel pellets. The MDF base is precision CNC-machined and has resin-coated steel pellets to create an extra-heavy and precise sandwich construction while sophisticated thermal treatment and carbon fibre surface coating on top of the plinth maintains superior low resonance levels. The mass-loaded chassis is efficiently and effectively decoupled from its surface by using magnetic feet. 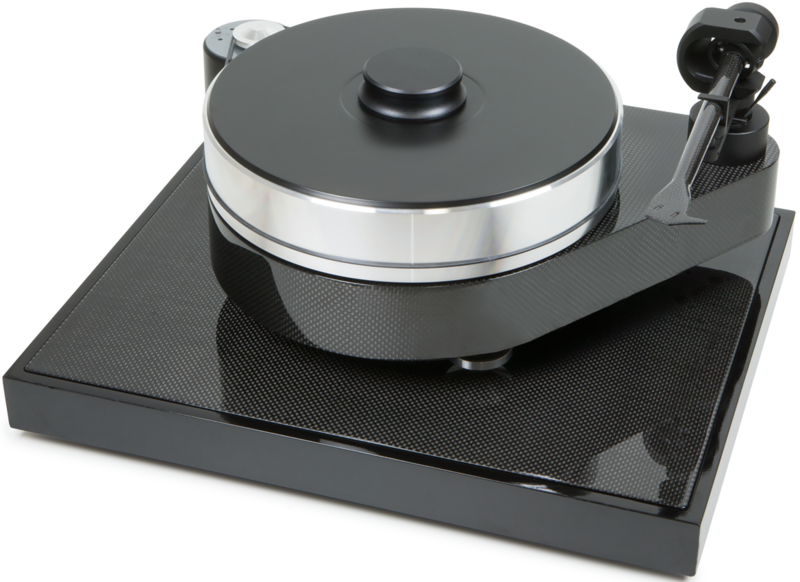 Combined with a new special polished aluminium platter with internal TPE damping and a vinyl layer on top, the inverted ceramic main bearing delivers an absolutely stable turntable speed with extra-low rumble. The heavy outboard motor unit comes equipped with precision control for the motor and features a built-in switch for the setting of 33 or 45 RPM. The new heavyweight motor unit also integrates an electronic DC/AC power generator to clean up any AC generated noise. The tonearm in the RPM 10 is the highly acclaimed 10“ CC EVO tonearm which is constructed from a conical carbon tube and an inverted bearing design that offers superior rigidity with ultimate internal damping. Within the tonearm, the internal wiring is highly flexible top-grade copper, which means the tonearm is suitable for almost any high-quality moving magnet or moving coil cartridge. An Additional feature is the inclusion of a TPE-damped counterweight. All of these aforementioned ingredients, add up to a miracle in sound! With the RPM 10, you also receive a Ground it Carbon equipment base & top-grade 5P phono cable ´Connect it CC´ with RCA plugs (and with XLR connectors as an option). The acrylic dustcover 'Cover it 1' is available as an accessory. 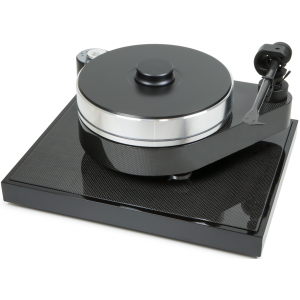 We believe RPM 10 Carbon is one of the worlds best record players and an ultimate step-up for the ambitious vinyl connoisseur!